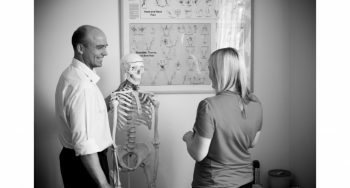 To read more about our chiropractic treatments click here, and to book an appointment call us on 0113 2383693 or contact us here. *Pensioners must be retired from all employment and over the age of 65. Students must be in full time study. The discount is at the discretion of the Morley Chiropractic Clinic. Most treatments are done on a private basis although the Morley Chiropractic Clinic is covered by most health insurance policies, subject to their terms and conditions. *Members of the Leeds Hospital Fund can claim back for some of the fees. To read more about our acupuncture treatments click here, and to book an appointment call us on 0113 2383693 or contact us here. To read more about our massage treatments click here, and to book an appointment call us on 0113 2383693 or contact us here. To read more about our pilates classes click here, and to book an appointment call us on 0113 2383693 or contact us here. To read more about our Podiatry & Chiropody classes click here, and to book an appointment call us on 0113 2383693 or contact us here.